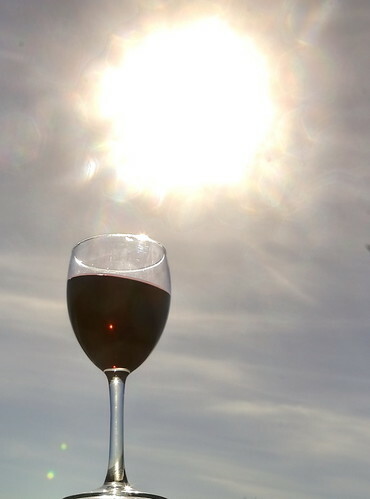 I have long known the Spanish expression un brindis al sol as meaning an impressive but empty gesture. The Spanish literally means a toast to the sun, which surely must be a fine example of an impressive gesture that achieves nothing. It was only the other day that I read a Spanish author who used the expression and mentioned that it originates in bullfighting and has no direct connection with the sun as such. A bullring is traditionally divided into two sections, sol and sombra, which are sun and shade respectively. The sol seats are cheaper and were typically occupied by poorer people who might be enthusiastic but were not as knowledgeable as the aficionados who chose the seats in the shade. 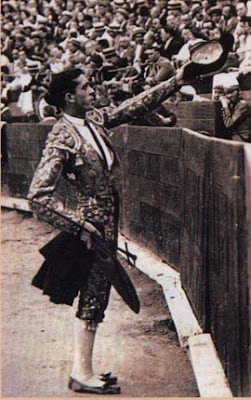 A bullfighter who wanted to make an impression might make a gesture to the crowd in the cheap seats by dedicating a particular bull to them. In this case the word would be brindar, which is also to drink a toast. This is the same as playing to the gallery in an English idiom that has the same origin, making a gesture to win easy sympathy and support. Click here for a full explanation in Spanish. The origin of the bullfighting expression is surely religious, though. The Spaniards describe the Incas "brindando a su padre el sol", and bullfighting has something of the Apollonian about it,the mayor and his court and harem at the western end of the ring with the sun plunging into the earth behind them. There might well be something in that but I can't find any reference.